2018 grey colt, now gelded, by Mannhattan out of Last Call Lady LSE. Update! “Sidney” is now the Serenity Park USDF Breeders Classic Current Year foal Champion, and the USDF Mid-States Finals Current Year Foal Champion. Sidney received especially high compliments on his manners and disposition—Including an 8 on General Impression, and the comment: “Incredibly well mannered”. 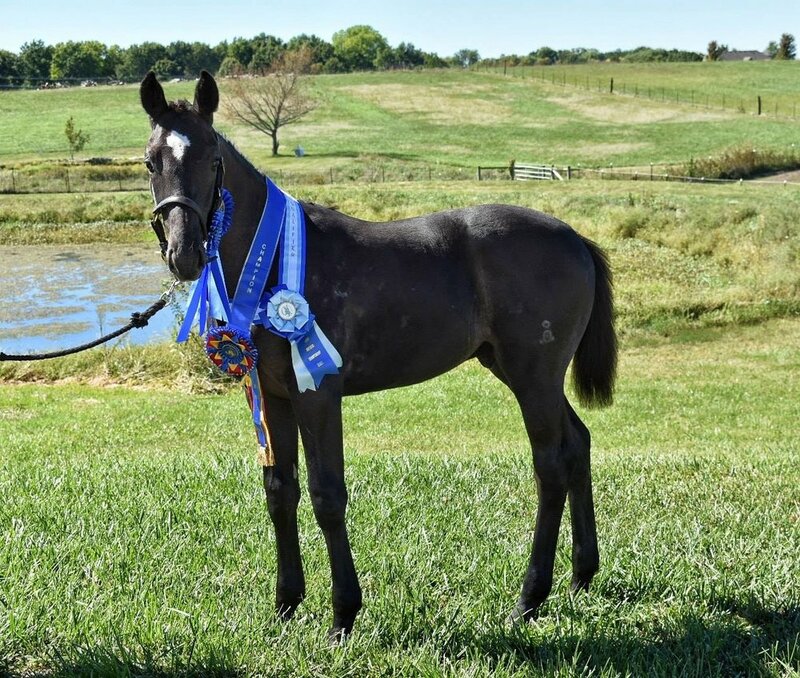 Sidney’s dam was awarded Serenity Park USDF Breeders Classic Reserve Champion Mare Over 4 on a score of 76%, as well as the USDF Mid-States Finals Mare Over 4, on scores of 73.5 and 75.4 with comments praising her excellent broodmare type, her substance, as well as her disposition. 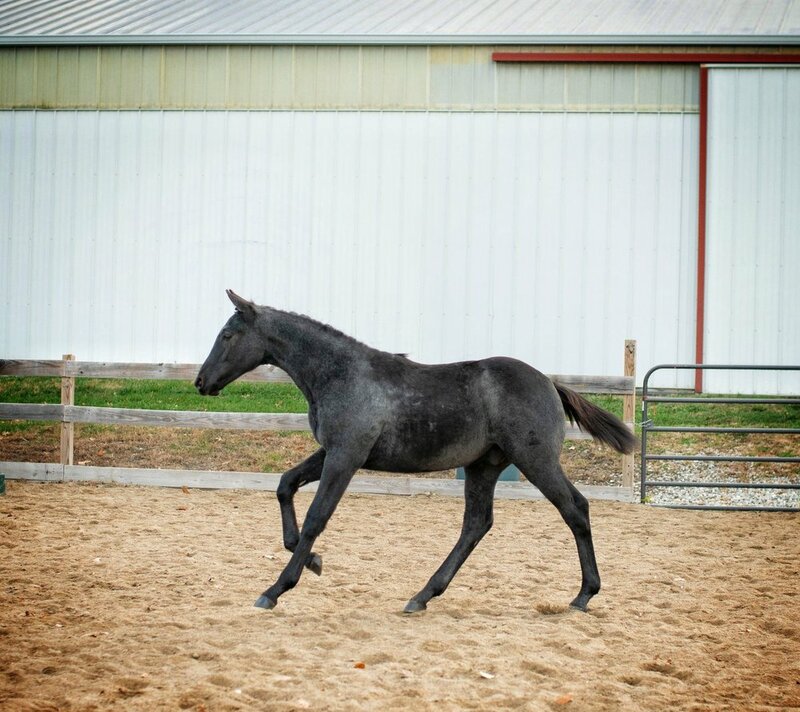 “Sidney” is a striking, long legged colt with a strong frame and exceptional movement with ample scope. Already boasting his own show record, including Serenity Park USDF Breeders Classic Current Year foal Champion on a score of 77%, and the USDF Mid-States Finals Current Year Foal Champion with a score of 75.7%, as well as being awarded Premium Foal at his inspection, Sidney makes an impression everywhere he goes, not only due to his stunning appearance and movement, but also his excellent manners off farm and quiet disposition. Sidney has excellent suspension at both the trot and canter, and a fantastic walk. Sidney stands very well for braiding, the farrier, routine grooming, and is progressing well with clippers. He leads, loads, and is already used to wearing a saddle pad. His trainable mind, and his early show experience makes him well suited to a career on the line prior to his under saddle career. While Sidney is an excellent type for the Hunter ring, he should also be considered an eventual International Derby horse. His correct, powerful movement and predisposition towards jumping, make him an intriguing prospect for all Olympic disciplines. He is already lifetime registered with USEF, USHJA, and USDF. 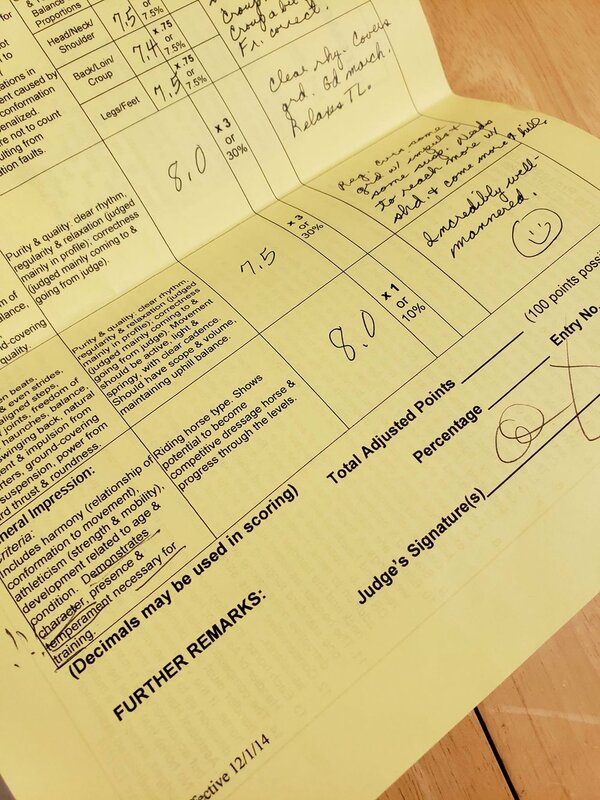 Sidney is sired by the iconic Mannhattan, who hardly needs introduction, he won the jumping portion of his 100 Day Stallion performance test with a score of 128.53. He went on to perform to Level 8 in the jumpers. His offspring have competed (and are competing) at the upper echelons of sport in every Olympic discipline, and in the Hunter ring. Mannhattan’s bloodlines are known for disposition, versatility, and overall excellence. Sidney's dam, Last Call Lady LSE is a 2012 Book I Main Mare Book Westfalen mare, as well as Main Mare Book Oldenburg NA--she is eligible to be upgraded to Premium in both registries. She has a superbly quiet nature, gentle disposition, coupled with incredible athleticism, grace, and balance, especially for her size. Sid will be her only foal in the near future, as she will enter training upon his weaning. She is showing great willingness and style through the free jump chute, which comes as no surprise, as her sire is none other than LaMarque of Wild Turkey Farms. Lady's dam sire is Elite Hanovarian stallion, Lehnsritter, who had great success in dressage, through the FEI levels. This colt is sure to be a star--in any ring. $15,000, with discount available to high performance homes. 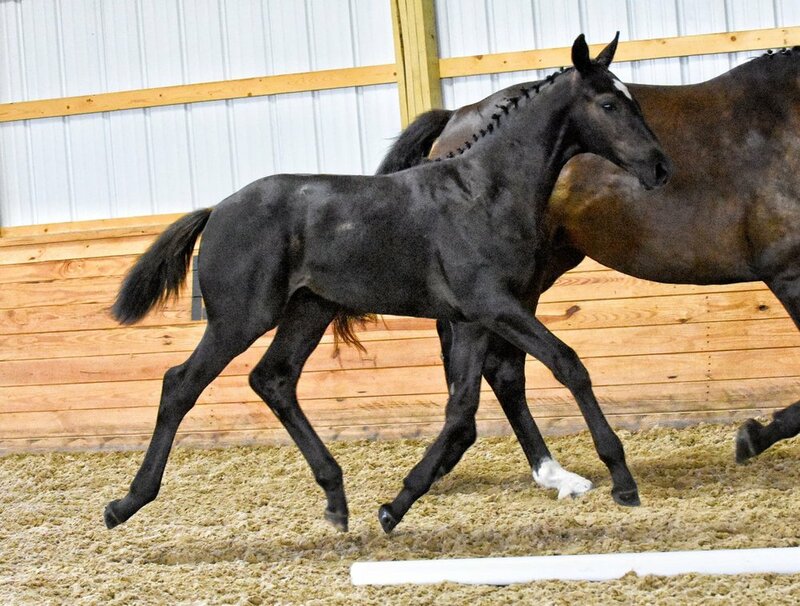 Price includes board through one month post weaning, registration/inspection fees, microchipping, and lifetime USEF, USDF, and USHJA registration. Last Call Lady LSE and Mannhattan. Images of Mannhattan courtesy of Avalon Equine, most images of Lady and Sid courtesy of Marilyn Merrick.